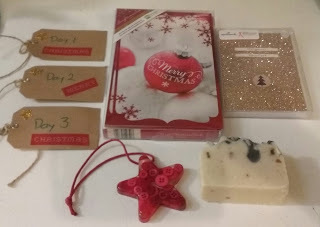 F.H.F.S: I've been totally spoilt by Fiona!!! 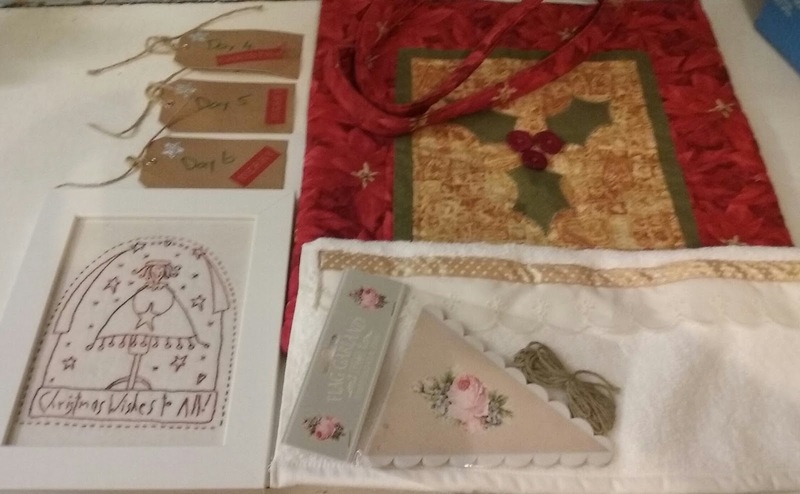 Days 4, 5 & 6 again totally overwhelmed by Fiona's gifts....a beautiful appliqued Christmas bag, framed Christmas stitchery and a sparkly trimmed hand towel with some shabby chic bunting which will soon be hanging in my sewing room. more than OK Fiona, absolutely loving them! !